In Europe, most individuals who go to the grocery store carry their own reusable bags with them, eliminating the need for paper or plastic bag usage. Now in the United States, that trend is also becoming more prevalent, with eco friendly totes and cute printed tote bags that encourage environmentally friendly behavior. Many small businesses or alternative style businesses are putting a custom print on paper bags with their logo, a quote, or a picture. Some of these prints can be a work of art just by themselves! This new movement toward being environmentally friendly (and fashionable with a cute print on paper bags or reusable totes) is immensely important for the environment. Here’s why and here’s how you can help. Strangely enough, one of the selling arguments of plastic bag use was that it was more environmentally friendly, because it saved trees. While about 14 million trees are still being converted to paper bags a year, it takes about 12 million barrels of oil to produce the amount of plastic bags consumed by Americans in only one year, about 100 billion bags. Let’s put it this way: to drive one mile, you would use the same amount of oil used to produce 14 plastic bags. Now obviously, reverting back to just paper isn’t the answer, but if we’re talking about conserving resources, what about having something you can use over and over again? Additionally, our consumption of plastic especially has a larger impact on the outside world. One million birds and thousands of sea creatures die every year after getting caught or stuck in plastic bags. Roughly 185 pounds of plastic gets dumped and tossed in landfills, the side of the road, or the garbage every year by only one person. That’s a lot of plastic pilling up! If you’re going to use plastic bags, try and reuse them or recycle them. Many grocery stores now have bins where you can bring your clean plastic bags back to, so they can make them into new plastic bags. The other bit of good news is that over 90% of Americans are repurposing plastic bags anyway, using them for tasks like garbage disposal, lunch bags, and for pet pickup on walks. You could also go back to paper for the little things. The fun print on paper bags is a huge draw for little unique stores like boutiques or specialty shops and looks nicer than plastic for the most part. However, an even better method is to buy store reusable bags. 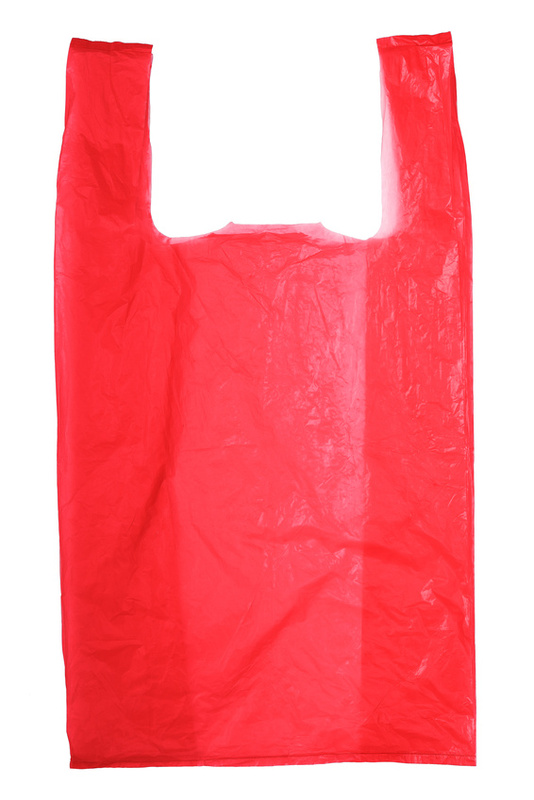 These are usually incredibly cheap (.99 cents or a little more) and can often fit more than a regular plastic or paper bag. Leave them in your car or by the door, so you remember to take them with you to the grocery store. So next time you’re at the store, check and see if they have reusable bags you can purchase for cheap. You’ll be saving the environment and sporting a cute tote bag! The 99 cents or a dollar you’ll pay once will more than pay for itself over time! Posted on May 27, 2015 by Gina. This entry was posted in Eco friendly totes, Print on paper bags, Printed bags. Bookmark the permalink.